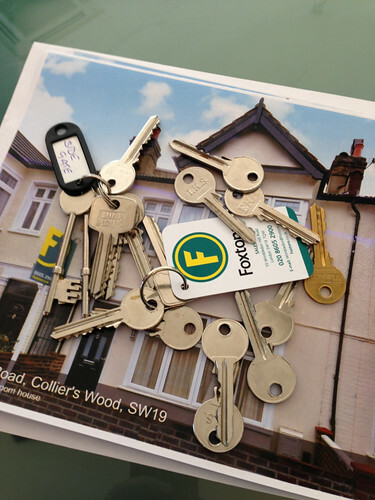 On the 16th of September, nine years and three days after I first moved to London, we got the keys to our new house! Buying a house in England has been a learning experience for me. (Actually, buying a house at all has been a new experience for me...) Offers are not legally binding until exchange of contracts, and in our case, that took six months. We were relatively certain throughout the process that the sellers would not back out, but it still took much longer than we had hoped it would. We hit a few bumps along the road - negotiations on repairs and price, delays while the tenants moved out - but we are very pleased with the result. And in the same week, we got to see Junior 2! 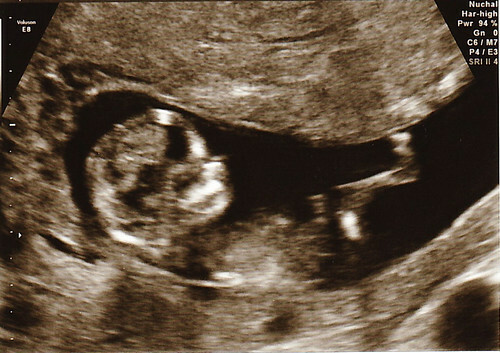 It feels different being pregnant the second time around. I have better knowledge of what to expect, which has been alternately helpful (I feel better prepared and relaxed) and scary (I know what I'm getting into this time!) It has been harder chasing after an energetic toddler while battling the ups and downs of the first trimester. But ultimately I am relieved that the pregnancy is going well so far and I'm looking forward to watching my growing bump.